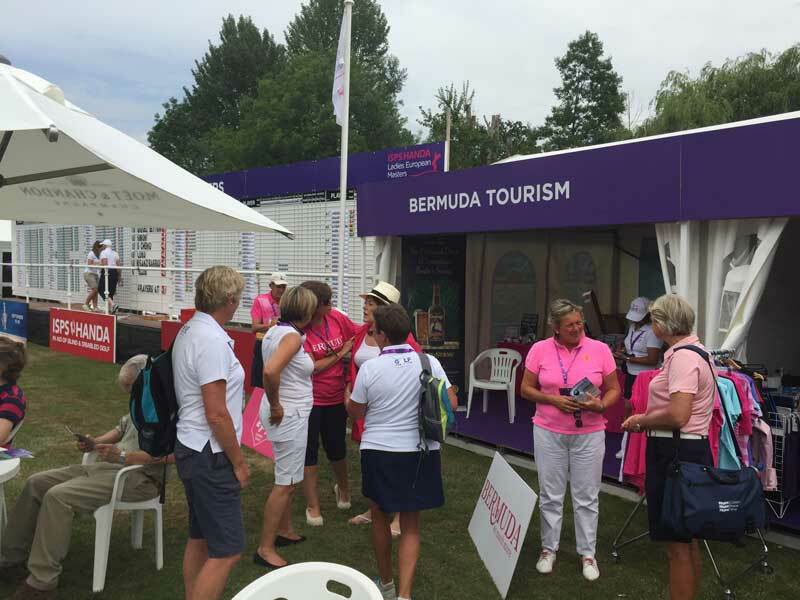 The Bermuda Tourism Authority [BTA] is working to grow strong leads for Bermuda’s golf product at the ISPS Handa Ladies European Masters in Buckinghamshire, where 17,500 spectators attended. 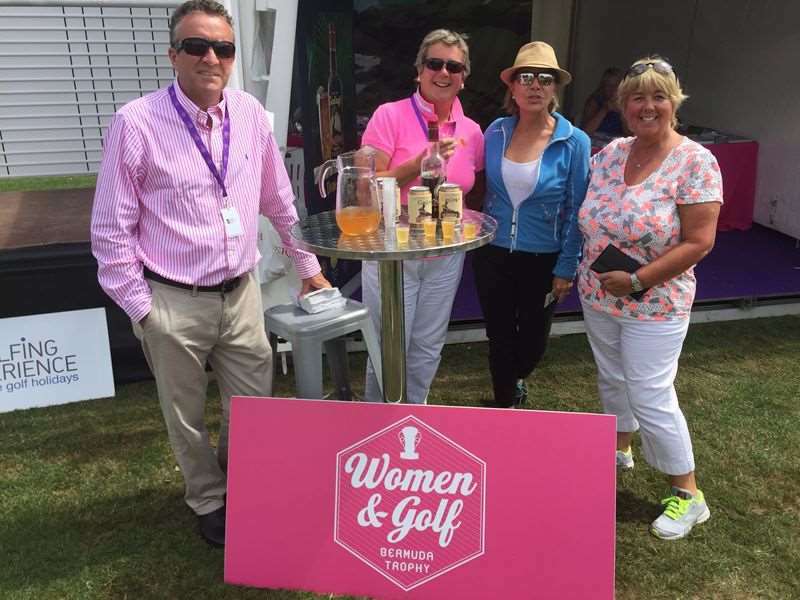 “It’s believed the geographic location of the event in the northwest of London attracted a high volume of female golfers in Bermuda’s target demographic,” the BTA said. “I estimate 80% of the ladies we encountered travelled on a regular basis with a primary mission to play golf,” said Andrew Brooks, the BTA director of golf sales and marketing. A spokesperson said, “One such event that has been particularly strong for attracting women golfers from the U.K. is the Women & Golf Trophy. This November about 50 ladies are expected to travel to Bermuda again for the sixth such event, when Bermuda’s weather is far superior to England’s. “Event participants extend their travel experiences beyond golf, providing an economic boost of $165,000 in on-island spending during a traditionally soft travel period. The Ladies European Masters has provided the BTA with an opportunity to potentially grow the number of Women & Golf participants, perhaps as early as this year. “The BTA’s prime on-site location next to the main tournament leader board generated a lot of foot traffic. It was described as a garden-style atmosphere with a complimentary Gosling’s Dark n’ Stormy© for those who stopped by. “Christine is an asset to our effort to grow seasonal business throughout the year,” said Chief Product & Experiences Development Officer Pat Philip-Fairn. “Bermuda also enjoyed considerable television airtime during four days of Sky Sports coverage. Announcers teased a special promotion on the 18th hole each day which gave each competitor the chance to win an Elbow Beach-hosted trip to Bermuda if she shot a hole-in-one. Good on you BTA for trying something new and targeting the right demographic. I cannot believe it, here we go again, attracting women golfers to Bermuda and not one women Bermudian golfer at the event. Just a male golfer!!!! Director of Golf at Port Royal. Common sense would suggest that Ebonie Burgess would be in a much stronger position to talk on women’s golf. She has represented Bermuda Women’s Golf on innumerable occasions. Does no one ever think in the BTA? mr ray ,british airways does not have the monopoly .no one else wants to compete with them !!!!! !